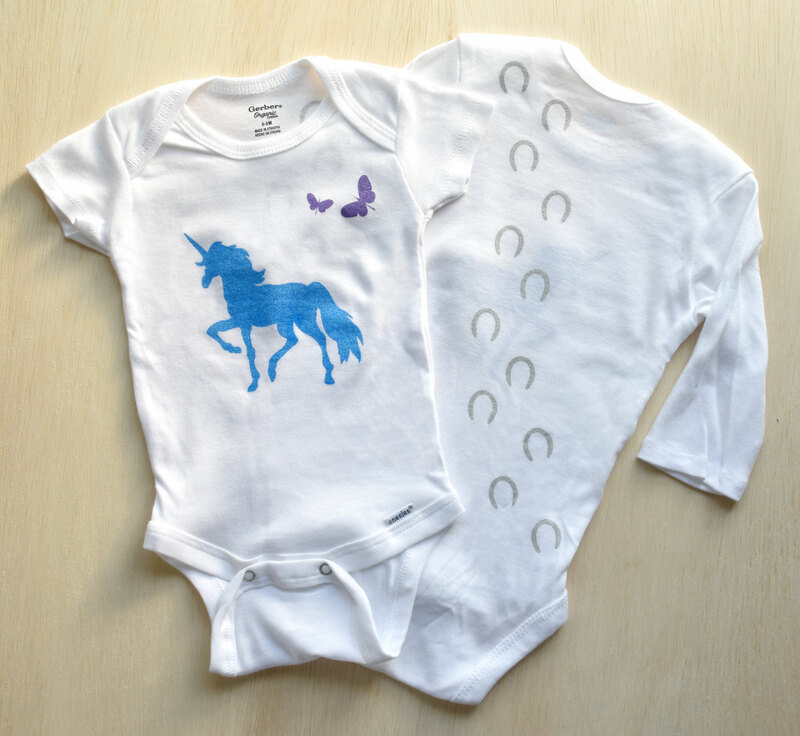 baby onesies - Website of jengstudios! Super cute and cuddly, a perfect fit for a new little one. These adorable little items make a fabulous gift!! Fox on the front, gold footprints on the back. 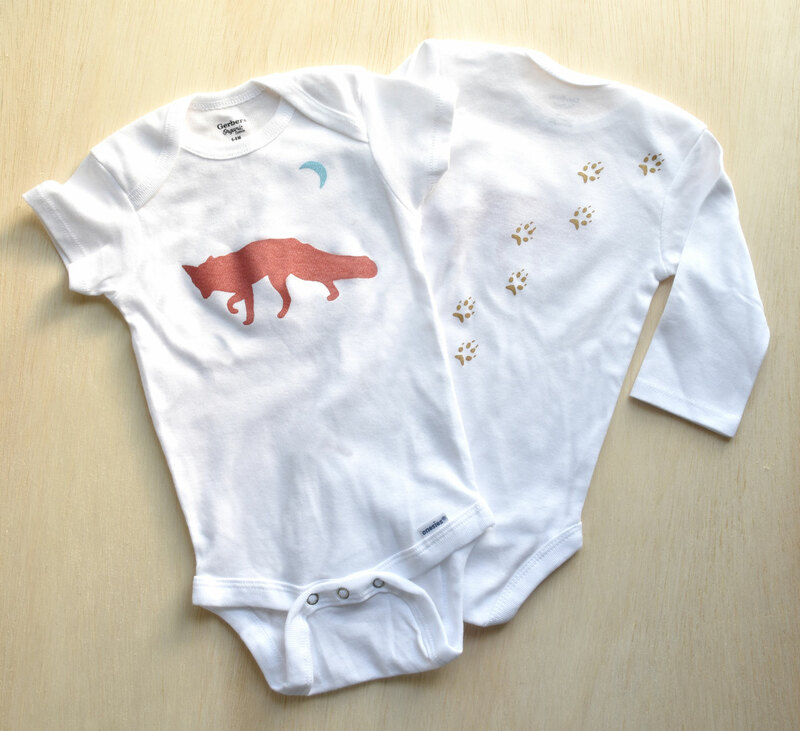 Screenprint on 100% cotton Gerber onesies. Range of sizes, both short sleeve and long sleeve. *note* order includes ONE item, photo shows backside and sleeve options. Unicorn on the front, silver hoof prints on the back. Bees on the front, gold honeycomb on the back. 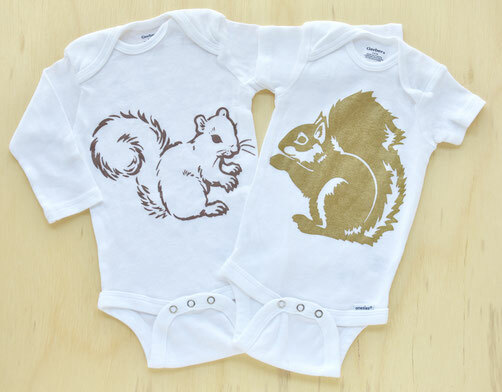 Golden squirrel on the front, silver footprints on the back. 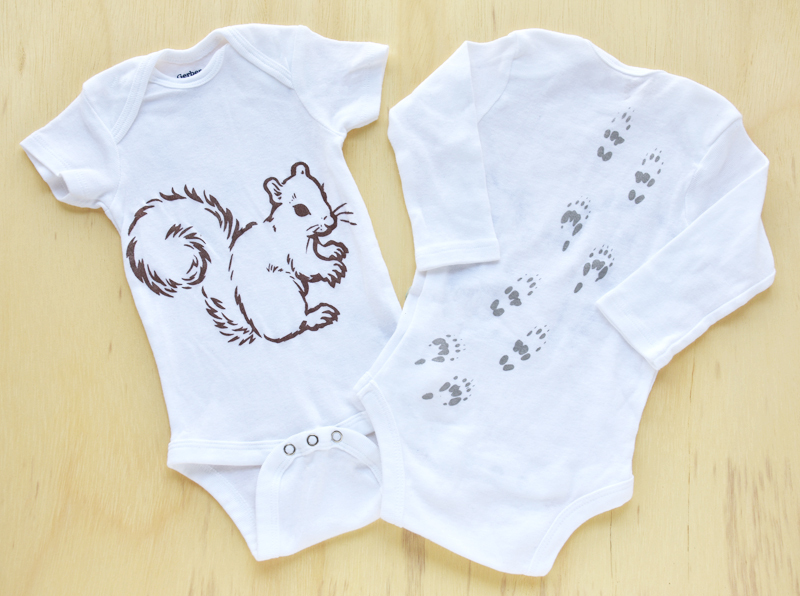 Darling squirrel on the front, silver footprints on the back.